Hello everyone! It’s the last day of November and that means we’ll be turning our Christmas lights on tomorrow night. Like so many, December marks the start of the advent calendar in our house (one of my son’s favorites), as well as so many other fun holiday preparations and celebrations. I hope you’re enjoying this year’s Holiday Countdown series. Although there’s still a lot to do, I’m feeling pretty good about where I am right now. Last week I managed to go through my wrapping supplies bin to see what I had, and I set aside some time to create a few new gift tags I’ll be sharing with you next week. My son and I also put together a collection of items (snacks, grooming products, water bottle, etc) for his school backpack campaign, and we sent an Endless Harvest Gift to a family in need through Plan Canada. 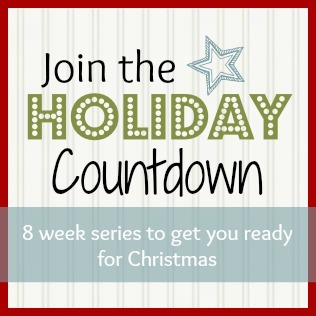 If you’re just joining us or need a little series refresher, you can find the whole 2012 Holiday Countdown here. Nothing says ‘Welcome’ more than a beautifully decorated front porch. Although there are many ideas, I suggest coordinating your decorations with the theme you chose back on week two, as well as something that suits the exterior of your home. For instance, if you have a modern exterior you should select decorating elements that are clean lined and minimalist. If your front porch is traditional, go for something embellished and ornate. I’m smitten with these doors below, and can’t decide which direction I’ll go in this year. I moved this up a week from last year since so many of you like to have your tree up and decorated early. Years ago when we used to get a fresh tree, we’d wait until around December 10th to put ours up to keep it fresh (and we really didn’t have time anyway with our busy schedules). Now that we spend a certain amount of time away for Christmas, we use a pre-lit artificial one so it can go up early and we have time to enjoy it. I do miss the look and smell of a real tree, but I don’t miss the mess. I have nightmares of coming home to a fallen over tree with dirty water and sap all over the carpet (let’s just say it’s happened in the past!). If you’re not quite sure how to decorate your tree this year, I’ve rounded up some show stoppers on my Holiday Decorating board on Pinterest. Prepare and send your holiday cards. Remember the photos I suggested you take back on week one and the cards you were supposed to select on week four? Well, it’s time to get them ready and send them on their merry way. A few years ago (after kicking myself time after time) I decided to set up a system for organizing my cards. They were starting to pile up and it was hard to know what to do with them. What I decided to do was keep one or two favorites from each person in a large envelope and try to reuse the remaining cards in another way or recycle them. Now I often use part of the cards as gift tags. Something else I do to stay organized is keep a record of who I’ve sent cards to and who I’ve received them from. MomAgenda has a free printable that makes this easy. I also purchase a large book of stamps and print out return address labels on my computer. Having everything at my fingertips means the cards are more likely to get out the door on time. 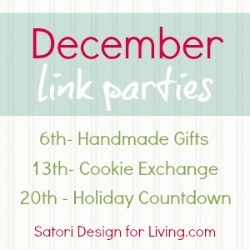 Have you started working on your projects for my upcoming link parties? 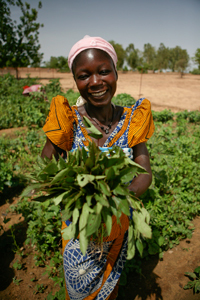 I’m excited to see what you’ve all been up to and I’d love for you to spread the word. The first one starts Thursday! i love that little tree with the white twiggy snowflakes!!! so fun and perfect for outdoors! i think next year i need to make some white twiggy snowflakes! 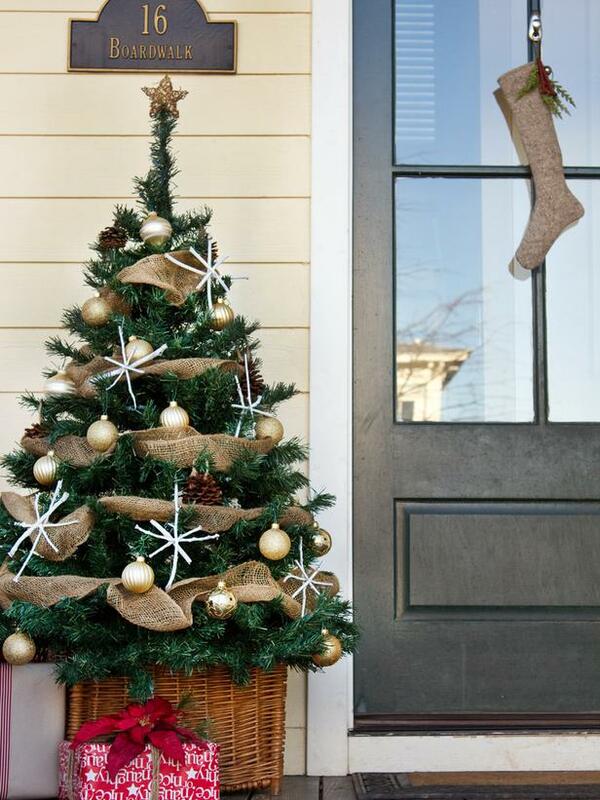 Love those twig ornaments as well and they look quite easy to make. Thanks for stopping by! All on the list! This year we’re holding off one extra week on the tree, because in spite of routine watering, it was just tinder dry when we took it down – needles ev.er.y.where! So our tree goes up next weekend, but the rest is slated to be crossed off by mid-week at the latest. I have an out-of-town friend coming to visit this weekend, or I would be tackling it then! I really appreciate all your thought on the countdown – it’s definitely helped me stay on track this year! Are you going to be posting pics on your blog? I’d love to see everything, and don’t forget about my upcoming link parties as well. Enjoy the weekend with your friend! Well I’ve got lights up and porch decorated. We do a live tree so we’ll wait another week or more because as Sheila says it can be a nightmare by the end of the season. Cards need to get out this week, you’re totally right. Thanks for keeping us in check! Sounds like you’re making good progress. I bet it’s looking beautiful! I cannot even believe we’re this far along in the season! Craziness. Thanks for the beautiful inspiration! I know, it’s crazy how fast time is flying by! How are your preparations coming along?